These words can frighten anybody but at our practice your comfort is our number one priority. A root canal treatment no longer means you will experience any pain and many of our patients have even fallen asleep during the procedure. We usually recommend root canal treatment when the pulp of the tooth becomes infected, either through decay or injury. The pulp is the soft bit inside the tooth, and runs right through the root, carrying the nerve supply and nutrients. When it becomes infected, that infection can spread throughout the root canal system of the tooth, and can cause an abscess which is usually extremely painful. If left untreated the infection can lead to damage around the bone of the tooth, and the tooth is likely to have to be removed. Root canal treatment can be quite lengthy – because the area we are treating is so small, it takes a great deal of skill and patience. This, combined with the need to let the infected tooth settle down before we complete the treatment, means you may need more than one appointment with us.  Where possible we complete the treatment in one visit and this is preferred by both the dentist and the patient. If there is no infection present this is the way we normally perform root canal treatment. When a molar tooth has had root canal treatment the tooth needs a crown after. This is because the tooth is too weak for chewing. A crown strengthens the tooth and makes it last much longer. It is usually unnecessary on a front tooth as the chewing forces are lower there. Sometimes a tooth that has had root canal may darken after treatment. If this happens the tooth may be bleached or veneered. A root canal treatment is a great way to keep a tooth that would otherwise need to be taken out. Our dentists all perform root canal treatments but we also have an endodontist we refer to for specialist cases. An endodontist has been specially trained to carry out difficult root canal treatments particularly molar teeth and those which have difficult anatomy.